When the increased costs of maintaining two households strains the family’s budget, parents face the arduous task of making unwelcomed economic decisions. For divorcing parents whose children have been attending private school, one of the trickiest is whether or not to continue paying tuition. On the one hand, parents want to minimize the impact of the divorce on their children, fearing the emotional fall out of switching schools at an already difficult time. Not to mention that the child may be thriving with the curriculum, class size, teachers, friends, sports program etc… On the other hand, making unaffordable tuition payments is unsustainable. If this dilemma was already present during the marriage, it will certainly be magnified in divorce. It is not unusual for one or both parents to insist upon doing “whatever it takes” to maintain the status quo and pay for private school. As a family and divorce mediator, I help parents consider what it means to do “whatever it takes” to pay tuition. Let’s imagine a fairly typical situation. Joey’s parents, Jane and John Smith, pay $32,000 a year for Joey’s private school tuition. With increased housing and expenses post-divorce, they have a combined budget shortfall of over $35,000 a year. Seeing that Joey was thriving in the 4th grade at his beloved private school, Jane and John agreed they would “do whatever it takes” to continue to send him there. Jane would take out a home equity loan, which would fund Joey’s education through the 7th grade. Both Jane and John would stop funding their 401(k) plans and IRAs and redirect that money to pay tuition – that would get Joey through 9th grade. John would also borrow money from his 401(k) and cash out a mutual fund, which would buy tuition through the 11th grade. Finally, if necessary, Jane could take a personal loan from her dad and get Joey through his last year of private school. Here are some of the consequences of this plan. Jane and John would accumulate over $200,000 in loans and forfeit hundreds of thousands of dollars of future retirement, since funds taken out of savings result in losses multiplied exponentially over time. In the years that Joey is attending private school, his Mom and Dad would each struggle to pay for family and household necessities. There would be little to no discretionary funds for leisure or for unexpected vet bills or other unplanned expenses. A perpetual dark cloud of financial pressure may loom over the home, impacting the family dynamic in countless small, but cumulative ways. Perhaps most critically, Jane and John will not have adequately funded their retirements, meaning that they will not have achieved financial independence for their golden years. Parents scrambling to cover tuition costs often don’t take into consideration that by tapping into retirement accounts, they may inevitably become burdens to their children later in life. Adult children who are tasked with supporting their aging parents while raising their own families are often unable to fund their own retirements, too. And so financial stress unintentionally passes from parent to child. The private school question can become even more complicated when addressing special needs and multiple children. 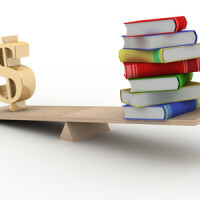 The same issues typically arise around college expenses as well (although there are different options for funding college that aren’t available for private K – 12 educations). I encourage parents to thoroughly explore all available options and not simply prioritize private school education above all other financial needs. In most cases, accumulating staggering debt and using retirement to fund private school tuition is actually a disservice to both parents and children.